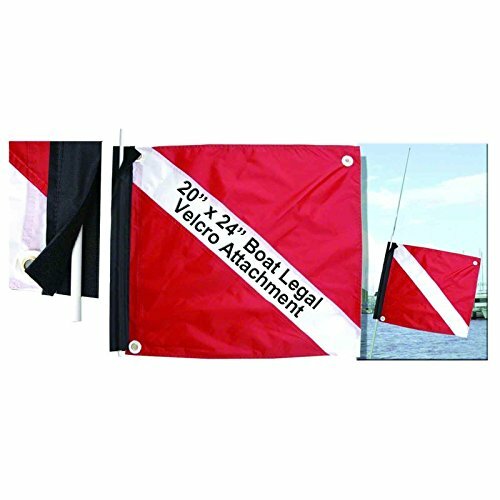 Dive Flag with Velcro 20"x24"Dive Flag with velcro closures that makes it easy to fly on your boat. Easily fits around your antenna or rail. The 20"x24" size is the minimum legal size in many states. If you have any questions about this product by Marine Sport, contact us by completing and submitting the form below. If you are looking for a specif part number, please include it with your message.